Click the images below to purchase, go to the video lessons page, or go to the bonus lessons page. 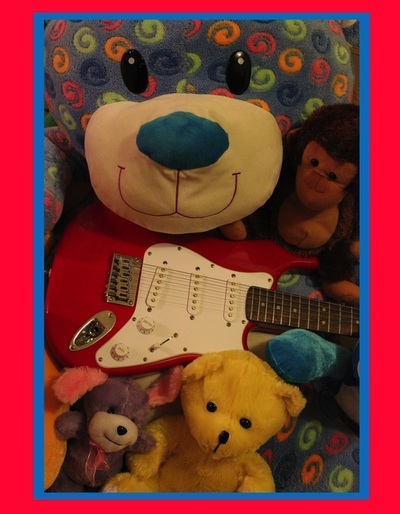 This interactive book and streaming video course is all that kids (ages 4 to 8) need to get started having fun learning guitar! 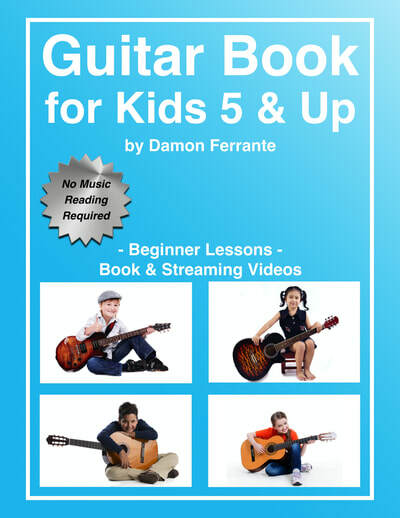 Guitar Instructor and Music Professor, Damon Ferrante guides your children through fun, easy-to-follow, step-by-step lessons. No music reading or music experience is needed! This beautifully illustrated, full-color beginner music book and video course, full of songs, music games and jokes, is the perfect introduction to the guitar for kids of all ages. 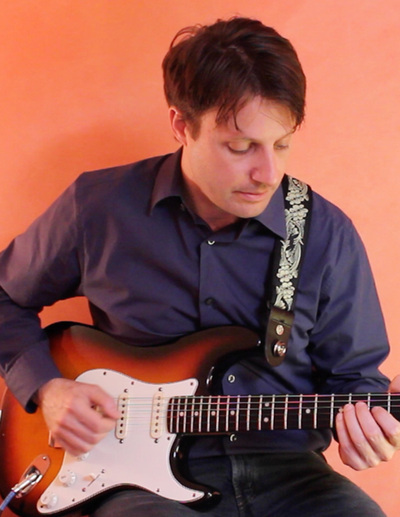 Used by thousands of music students, this simple and effective guitar method guides children from a beginner level to make them play better than ever! Learn the guitar by playing songs! * how to develop good practice habits.